"The intital variants of the gun had a cyclic rate of around 400 rounds per minute." Developed by German arms designer Andreas Wilhelm Schwarzlose in around 1900, and used extensively during WW1 by the Austro-Hungarian Empire, the Schwarzlose M.07 was a heavy, belt fed water–cooled machine gun, reliant on a pure blowback mechanism with no form of breech lock. It was the only such heavy machine gun to ever succeed based on this unusual and simple design. Usually mounted on a tripod, the Schwarzlose M.07 looked very similar to the Maxim based machine guns such as the British Vickers and the German Maschinengewher 08. 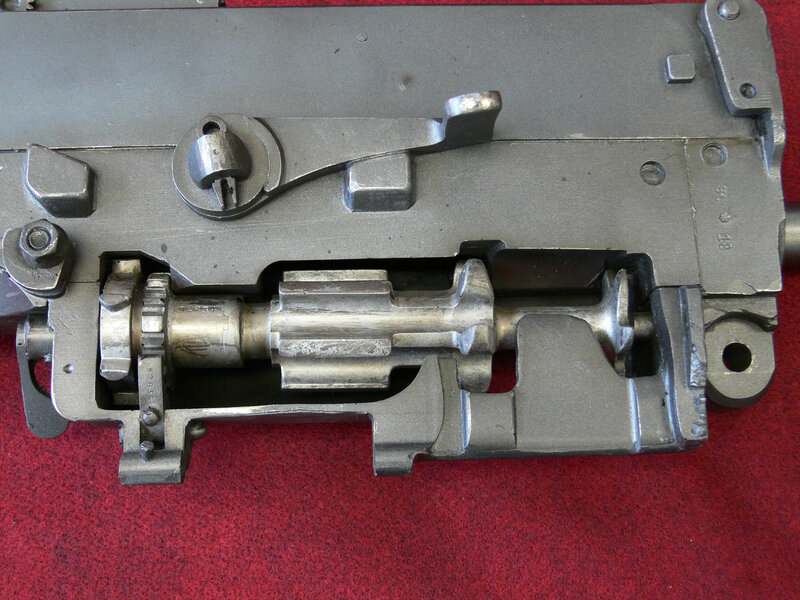 The weapon relied entirely on the mass of the breech block and a semi-folded toggle arm which would unfold at a severe mechanical disadvantage, thus slowing the opening of the block. The barrel was kept short to ensure that the bullet had left and the pressure had dropped before the block reopened and cartridge cases were oiled automatically to ease extraction. 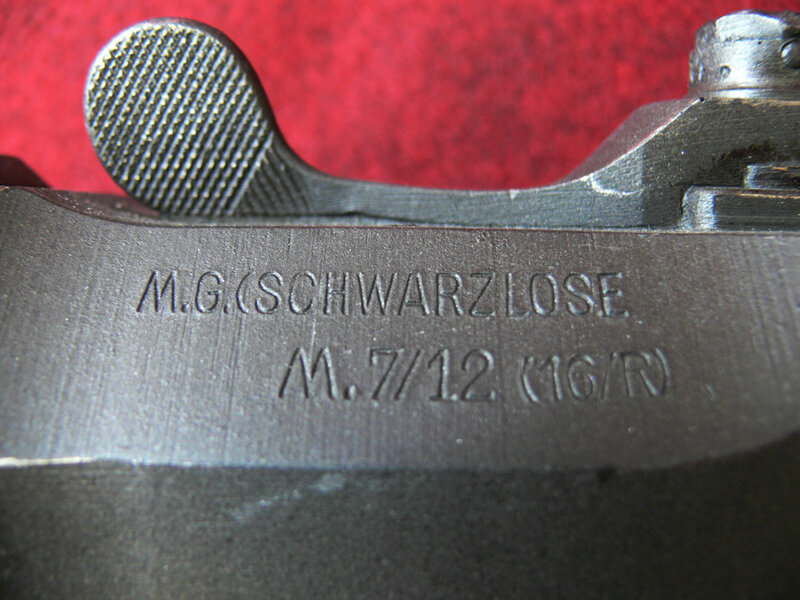 One of the most unusual aspects of the Schwarzlose M.07 was that the delayed blowback mechanism contained a single spring. The intital variants of the gun had a cyclic rate of around 400 rounds per minute but this was later advanced to 580 rounds during WW1 by fitting a stronger spring. It was a robust and reliable weapon in its original role as an infantry gun but unlike other highly adaptable Maxim-derived guns the M.07 proved difficult to adapt to roles which it had not been designed for. During WW1 the M.07 was mainly used in infantry and anti-aircraft roles but it soon saw service with the Luftfahrtruppe as an aircraft machine gun. It was used as a fixed forward firing gun and as a flexible, ring mounted, defensive weapon. Synchronising the M.07 for use in fighter aircraft was a difficult challenge and although eventually successful, it was considered unsatisfactory. An ingeneous bullet strike sensor on the propeller was devised to warn the pilot of malfunction in the synchronisation mechanism. This was not altogether due to the unusual design of the gun making synchronisation failures more common but the fact that early synchronizer mechanisms were prone to problems. Initially used unmodified, other than that the distinctive cone shaped flash guard was removed. the M.07 was later changed with slots cut into the water jacket to facilitate air cooling. 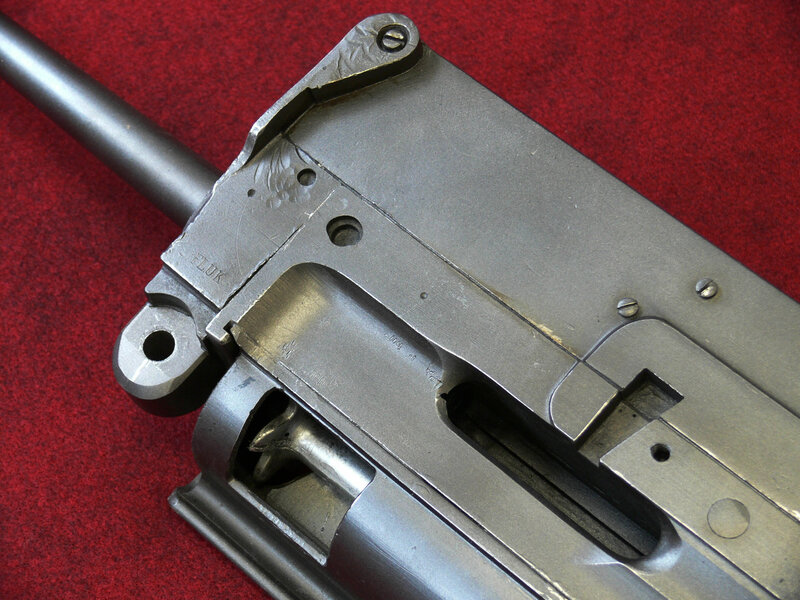 In 1916 the water jacket was completely removed and the resulting weapon was redeveloped as the Schwarzlose MG-16 and MG-16A when fitted with an even stronger spring that increased the guns cyclic rate to 880 rounds per minute. Some ring mounted versions were fitted with enlarged pistol shaped handles and a handgun style trigger for easier firing and all were equipped with specialised sights and a drum-magazine for fast reloading. As an artillery, anit-aircraft and aircraft gun, the Schwarzlose saw much use during WW1 by the Austro-Hungarian Armies and in WW2 by the Dutch, Greek and Hungarian Armies. It also saw further use as an aircraft gun by the Polish Airforce during the Polish-Bolshevik War. It became quickly outmoded however, as an aircraft weapon, as soon as more advanced machine guns and equipment were developed. Feed System: 250 round belt or drum magazine.